Coconut oil is one of those mythical natural beauty ingredients that users claim does *everything. 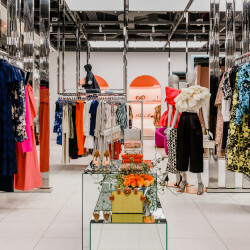 * And I, as longtime beauty editor, am here to tell you that this claim is nothing but...100 percent true. It really does do everything: moisturize skin, condition hair, remove makeup, hydrate lips, work as a shaving oil, etc., which is why I’m glad that my favorite coconut oil for the kitchen, Nutiva, now makes four spray Organic Coconut Body Oils—three with essential oils, one unscented—that I can easily store in my bathroom and beauty cabinet at home. For my Sunday spa routine, when I’m pampering my hair and skin from head-to-toe for an hour or so, I love that one product can basically do everything I need. 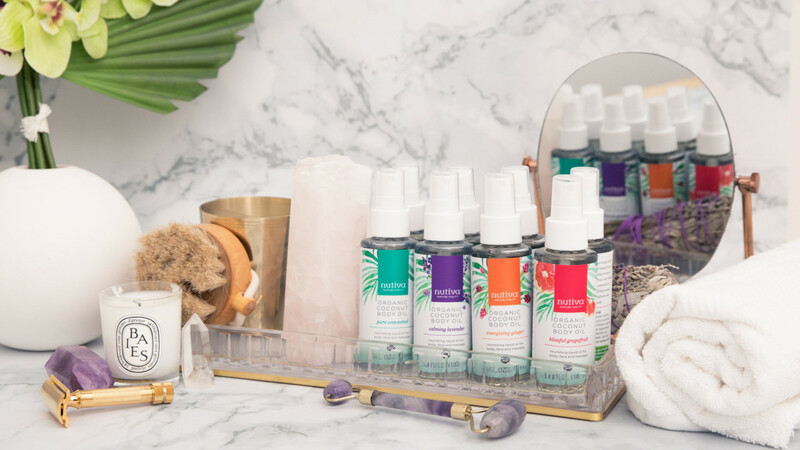 Each formula is not only USDA organic, but has just two ingredients: coconut oil and the essential oils for scent (or just one ingredient, in the case of the unscented version). I particularly like this aspect since I’m essentially coating my entire body—hair and skin—in product. The formula also stays “liquidy” and doesn’t solidify in cool temperatures, making it easy to use. 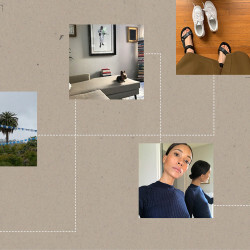 Here’s my full Sunday spa routine using just one product for the whole shebang. Nutiva Organic Coconut Body Oil in Calming Lavendar: Before I get in the shower, I cover my hair in coconut oil and comb it through. For dry hair like mine, this pre-treatment helps to keep it smooth and shiny. 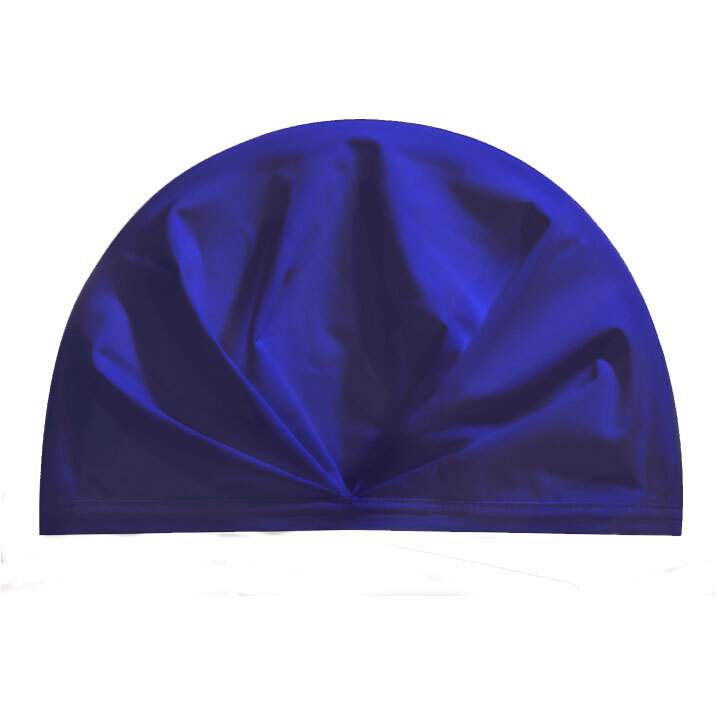 Shhhower Cap: I cover up my coconut-oil-coated hair with my favorite shower cap and let it sit for about 10 minutes before I hit the shower to shampoo and condition. I’ll also go through my shaving routine with some Nutiva oil. 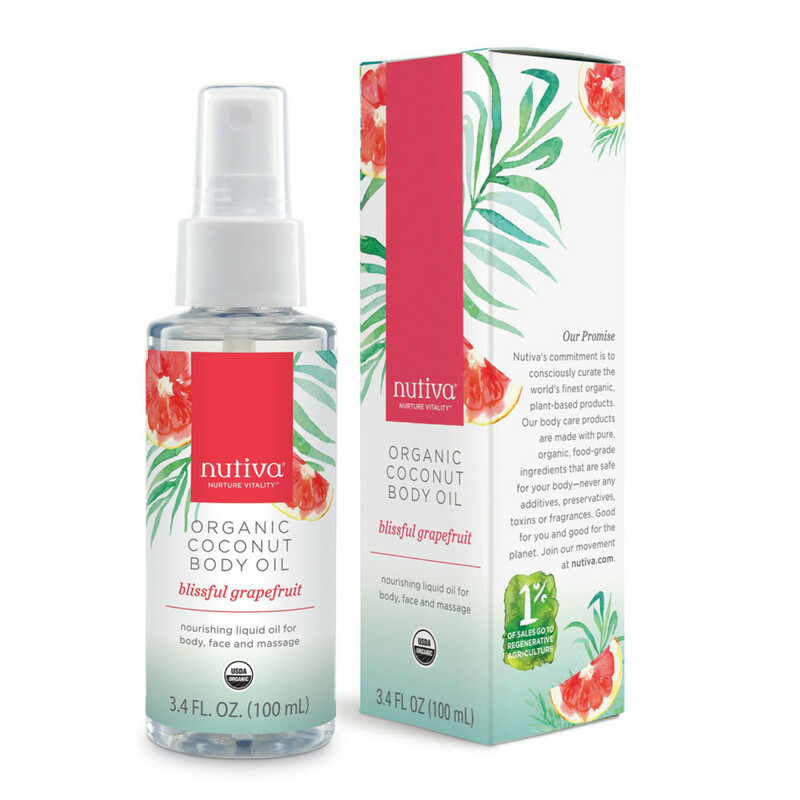 Nutiva Organic Coconut Body Oil in Blissful Grapefruit: Every beauty editor knows that the secret to super-moisturized skin is to apply an oil *immediately* after you get out of the shower, while your skin is still damp. 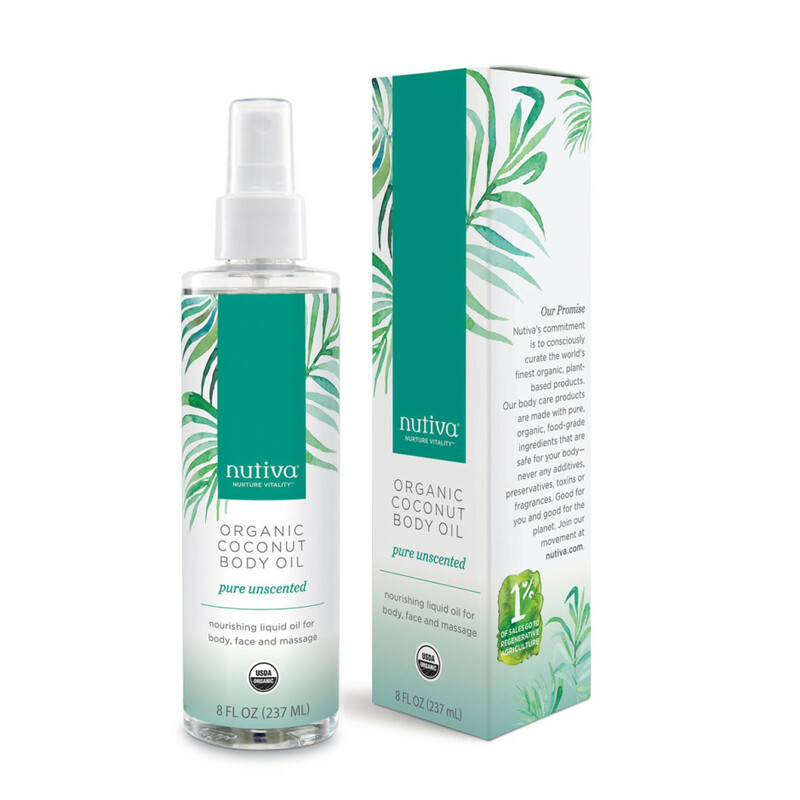 Nutiva’s body oil helps lock the hydration into my skin, making it smooth and soft. 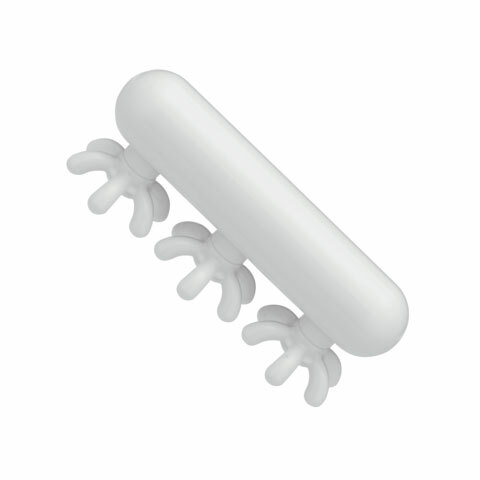 FasciaBlaster FaceBlaster: I have spotted the cult beloved body massage tools by FasciaBlaster in the bathrooms—and even luggage—of big names like the Victoria's Secret models. It helps smooth skin and relax muscles among many other things. I personally like to use the smaller face tool on my body. It gets the circulation going so my skin is extra glowy, and is a nice way to work Nutiva body oil into my skin. 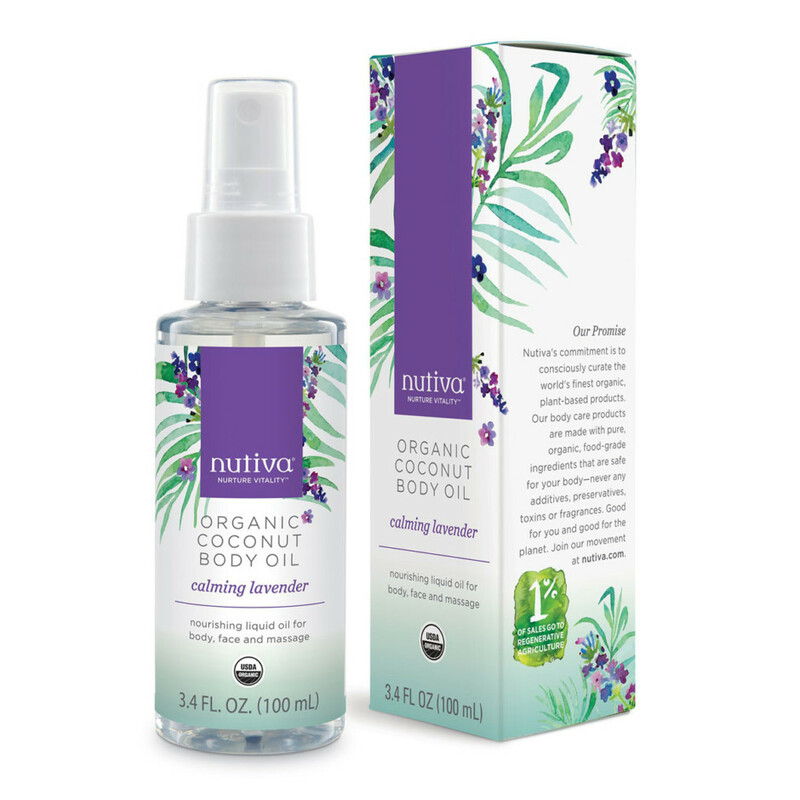 Nutiva Organic Coconut Body Oil in Pure Unscented: Before I head out the door for errands, I use coconut oil for a couple of little touch-ups. I dab a bit onto my cheekbones for an easy weekend highlight to my skin, and then I spread some across my hands and apply it to the ends of my hair to help make them smooth and healthy-looking.